Size: Adjustable necklace 40-43 cm / 16-17 inches. The pendant is approximately 2 cm / 3/4" . 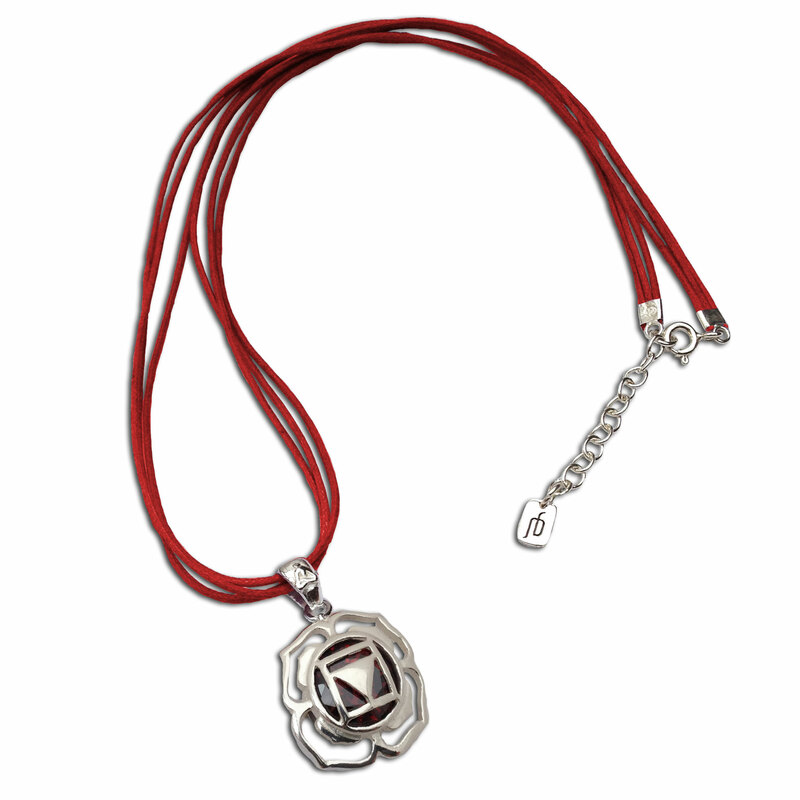 Necklace for the root chakra has a root chakra pendant on an adjustable, red waxed cotton necklace with silver clasp (16-17"). Sterling silver root chakra pendant with garnet-colored red cubic zirconia (2 cm).